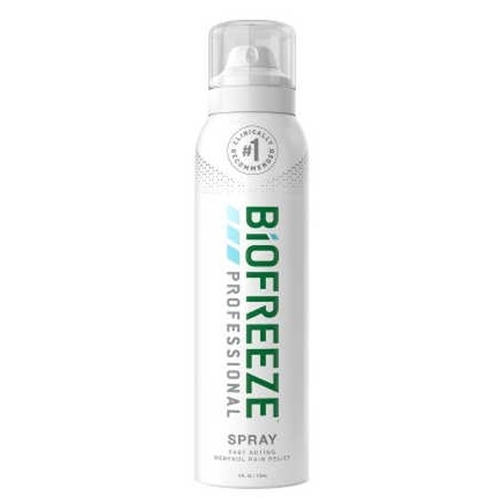 Biofreeze Professional 360 Spray from HealthyKin.com delivers the #1 clinically recommended topical analgesic using superior spray technology. Biofreeze 360 works from any angle, making it ideal for hard to reach areas. It even works upside down. Its continuous flow eliminates the need to pump so it's easier for arthritis sufferers to use. Great product - Really works and eases the pain!! Excellent product introduced by my sister. Ordered her some more and gave one to my other sister...both with leg pain. Great for those aches and pains! Great product. Have recommended it to many friends and family members. Love it !